Donuts with Dads 2016 | Phillips Watch D.O.G.S. Come bright and early to share some free donuts with your favorite kids! 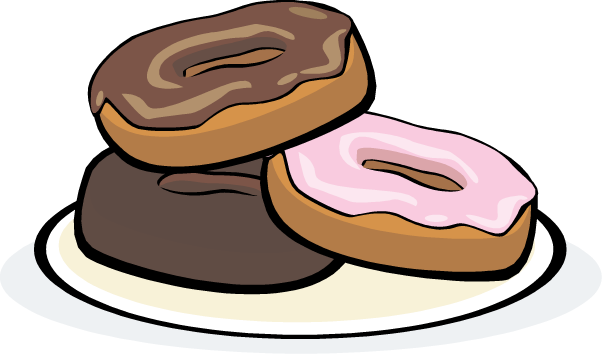 We would like to invite you to be a part of the 4th annual “Donuts with Dads” event on Tuesday, February 23rd, in the Phillips Science Room any time between 7:00 am – 7:30 am. Have a donut while learning more about the WatchDOGS program. Although the school year is halfway over; there are still many opportunities remaining within the Phillips Watch D.O.G.S. program! It is amazing what a lasting impact fathers and father figures can have as volunteers at Phillips Elementary. It is amazing what impact your presence can have on students you’ve never met. This program is open to all fathers, grandfathers, uncles, adult brothers, and other positive male role models. As an added benefit, we are offering the FIRST ACCESS to the book fair! After enjoying some donuts (and a wet wipe or two), head over to the book fair in the library! If you are already an active participant in WatchDOGS, come so that we can celebrate your volunteerism! In order for us to get an accurate count for donuts and drinks, please RSVP (be sure to list how many will be joining) by email to phillipswatchdogs@gmail.com.